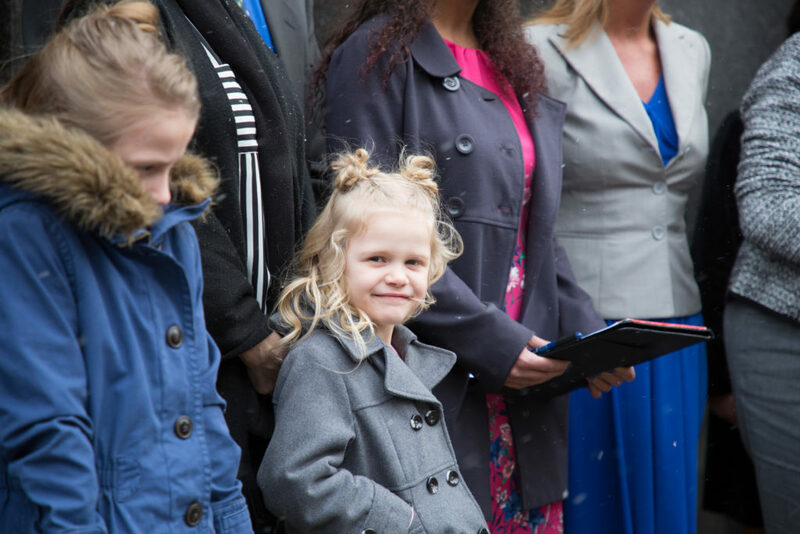 WASHINGTON, D.C. – Adopted children and foster families in Michigan can now join the fight against the ACLU’s efforts to shut down the adoption programs that brought their families together, a federal court just ruled. In Dumont v. Lyon, the ACLU is suing to stop the state of Michigan from relying on private adoption agencies like St. Vincent Catholic Charities because they run their programs based on their religious beliefs. If the ACLU succeeds, it would take away vital support that foster families need, and make it even harder for thousands of foster kids to find permanent homes (watch their story in this 3-min. video). There is a nationwide shortage of families willing to foster and adopt. In Michigan alone, there are thousands of kids in the foster care system, many of whom age out without finding a home. The government can’t recruit enough families to foster and adopt on its own so it relies on private agencies, like St. Vincent, to help find more willing families. Last year alone, St. Vincent recruited more new foster families than nearly 90 percent of other agencies in its service area. “St. Vincent brought my family together and continues to be an invaluable resource for us. If it is shut down, it will take away essential support we rely on right now,” said Melissa Buck, a mother of five children with special needs adopted through St. Vincent. In 2017, the ACLU sued the State of Michigan to shut down its partnerships with faith-based foster and adoption agencies like St. Vincent solely because of their religious beliefs about marriage. St. Vincent takes care of children regardless of their race, ethnicity, religion, sexual orientation, or gender identity, and its beliefs have never prevented a child from being placed in a loving home. Gay couples working with other agencies have been able to adopt children in St. Vincent’s care in the past. The ACLU’s clients could have done the same thing, and they even live closer to four other foster and adoption agencies that would have helped them adopt. Instead of going to these agencies to help kids, they have spent years going out of their way to target St. Vincent and try to shut down their programs. The Buck family, Shamber Flore, and St. Vincent, represented by Becket, have now requested the court to dismiss the needless lawsuit filed by ACLU and Sullivan & Cromwell LLP. Oral argument for this hearing will take place on May 10. Becket is a non-profit, public-interest law firm dedicated to protecting the free expression of all religious traditions. For over 20 years, it has defended clients of all faiths, including Buddhists, Christians, Jews, Hindus, Muslims, Native Americans, Sikhs, and Zoroastrians (read more).